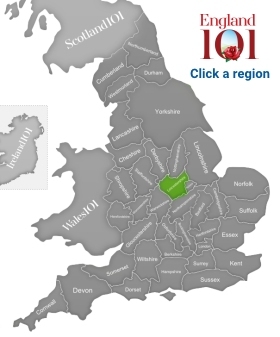 Located right in the heart of the English Midlands, Leicestershire sits smack dead centre at the middle of Britain. Leicestershire is known for its great commitment to environmentalism. A good portion of the National Forest - a 200-square-mile protected ancient woodland - extends through much of the eastern portion of the county. Leicester, the county town, was also Britain’s first environmental city, with a full range of legislation with a view toward environmental friendliness and climate change. Leicester also hosts the Green Life Awards each year, where local and regional businesses are rewarded based on their commitment to environmental friendliness. On the flip side, Leicestershire is also considered the birthplace of fox hunting, as the Quorn Hunt is the oldest and most famous hunt in England, established in the 1690s. Hugo Meynell was the first Master of Fox Hounds in Leicestershire in the 1700s and the tradition continues today, as the fox is the symbol of the county. 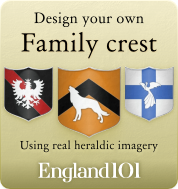 Leicestershire’s historical importance goes beyond England, as Phillipa of Lancaster, the founder of Portugal, comes from Bradgate Park. Besides the natural beauties, the area is rich in heritage as well. Leicester, in fact, took its share in the Roman and medieval history of Britain. The decisive victory in War of the Roses (early English civil war) was fought at the Battle of Bosworth, near Albion Hill in Leicestershire, in 1485. 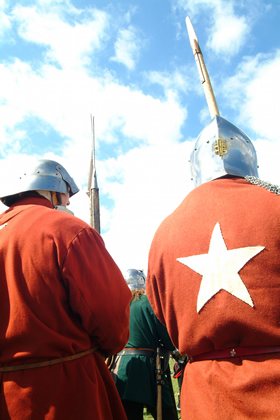 Re-enactments and staged jousts are now popular across the county, particularly at some of the historic castles, such as Rockingham. The visitors have an abundance of other appealing options to explore. The National Space Centre in Leicester is the only space centre of its kind in the entire country, offering information and interactive exhibits on space science, as well as a real Soyuz spacecraft on display. Meanwhile, the Great Central Railway is one of the only working steam railways left in Britain, and an interesting museum at Loughborough Railway Station offers insight into the history of the train. 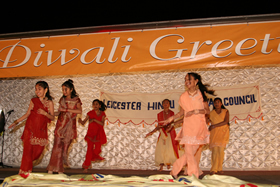 Leicestershire is also home to a large Asian population, namely people of Indian descent. Leicester itself stages a large festival each year for the Hindu celebration of Diwali, and more than a dozen Indian food manufacturers are based here, particularly along Belgrave Road. The county has also offered its share of delights to British cuisine. 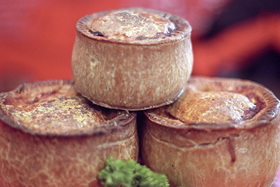 Red Leicester cheese is the most obvious, but others include pork pies - the most famous of which hail from Melton Mowbray - and Stilton cheese, a strong British blue cheese that is made at several licenses dairies in Leicestershire. Melton Mowbray also hosts Britain’s largest cheese fair, a paradise to all the gourmets. Children on-stage performing a traditional Indian dance during the Diwali Celebrations in Leicester, Leicester, Leicestershire. 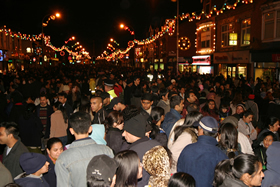 Crowds dispersing after the switching-on of the Diwali lights at Belgrave Gate, in the heart of Leicester's Asian community, Leicester, Leicestershire. 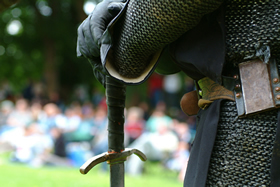 Detail of Mediaeval Knight with hand on sword ready for battle at the Jousting event held in the grounds of Rockingham Castle, Rockingham, Leicestershire. Two soldiers at the Battle of Bosworth re-enactment commemorating the decisive battle in the Wars of the Roses between Richard lll and Henry Tudor in 1485, Bosworth Field.